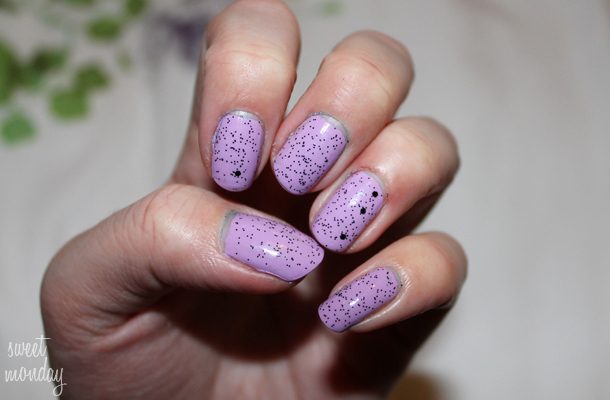 I saw a girls photo posted on the Models Own Facebook page of a speckled effect nail design very similar to the Illamasqua polishes. When I clicked through to her blog (I can’t find her link now) I saw that she’d used the Models Own pastel range with this Nubar polish over top. After googling the polish I found it was only around £6 or £7, much cheaper than Illamasqua and you can create the effect of any nail polish colour you wish. I bought mine from Beauty Bay here. I want to try it over a neon polish next 🙂 and my friend suggested painting a matte top coat after to make it more Easter egg like. Event | AX Paris presents a night at the Circus!